Bug On a Rope provides a big boast to any lift station, by releasing seven strains of bacteria, productive enzymes and oxygen-rich biostimulants. Degrading fats, oils and grease in lift stations and sewer lines. It lowers BOD and sulfide generation. When it's done, you simply pull out the plastic core. NOTE: This product comes with 3 feet of rope, in order to allow you to customize the product to the depth of your lift station. Use a nylon rope for the remaining length, and attach it to the end of the rope provided. This is not a bacterial product, but rather a high-tech saliva. This means that Qwik-Zyme L incorporates three types of lipid degrading enzymes to produce dramatic hydrolysis of fat, oil, grease(FOG) and resulting fatty acids. Qwik-Zyme L will degrade the FOG, and your bacteria will eat it. In the winter months when water temperatures are colder, the naturally occurring bacteria cannot completely break down FOG and the fatty acids that build up in the wastewater plant. These fatty acids are then taken up by filaments like Microthrix Pricilla and Norcardia which allows them to float and foam. Qwik-Zyne L breaks up these fatty acids and cuts off the filament's food source. Works well with VitaStim Low F:M and Foam Buster. Feed into the front end of the wastewater process. It softens and removes grease, degrades grease on the walls, and lowers hydrogen sulfide. Most grease removal products are citric-based oil-separators that just push along the grease or don't work at all. If pushed, the harmful materials go right to the wastewater treatment plant, which can cause major upset and foaming. GreaseZilla will degrade and digest heavy buildup of fats, oils and grease stuck on the walls of lift stations and pipe lines, leaving the wastewater free of incoming grease. For maximum grease removing results use with Bug On a Rope. VitaStim Grease-FOG Reducer contains bacterial cultures along with key bio-vitamins and biostimulants. Excellent for chewing up high levels of grease and fatty acids. This product will reduce grease, filaments and sludge production and control foaming. These culture concentrations are five times higher than available through catalogs or local supply salespeople. 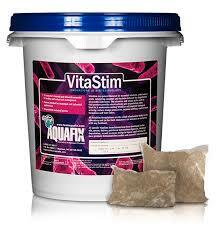 Use VitaStim Grease - FOG in Lift Stations, Wastewater Plants, Anaerobic Digestors, and Sewer Lines.